Diana and Jen have already given you some great advice. Most of it, I already do. The rest of it, I’m going to work on incorporating into my life. Like Jen, I have fibromyalgia. One thing I’ve found that really helps is exercise. Especially when I don’t feel well, exercise is all the more important. It helps to warm and stretch my muscles and sharpen my thinking. 1. Find a time that works for you and be consistent. I get up at 5:20 a.m. to take my walk. It means that it’s often dark, so I wear a reflective vest and a headlamp. My little Jack Russell terrier even has a flashing red light on her collar. Why do I torture myself with getting up so early? Because it’s what works for me. If I try to do it at any other time of the day (and I’ve tried), I come up with a million excuses. Life gets busy and exercise doesn’t happen. 2. Find something you like to do and stick with it. I love to walk outside. I hate the treadmill. So, I’m out there every morning in just about all kinds of weather. At that time of the morning, the world is so still and quiet, the air fresh and clean. It’s great. What is it you like to do? Run? Swim? Lift weights? Then do it! And you’d be surprised how many calories you can burn by gardening, vacuuming, washing the floors, even running up and down stairs with the laundry. 3. You don’t have to spend a ton of money. I walk outside. That’s an investment in good tennis once a year. My vest and headlamp weren’t expensive and last a long time. That’s it! The rest is free. No expensive gym membership required. If you go online, you can find videos for dance fitness, yoga, and other exercises that don’t take a lot of cash. 4. Find an accountability partner. Someone you have to answer to. 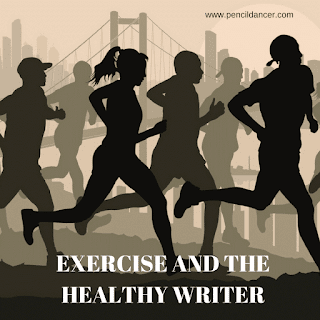 It’s amazing how you’ll get out there and exercise when you have to report to someone. You can even post it to Facebook through apps. My dog is a great accountability partner. If I skip a couple of days, she lets me know! All of us have many, many stories to tell. 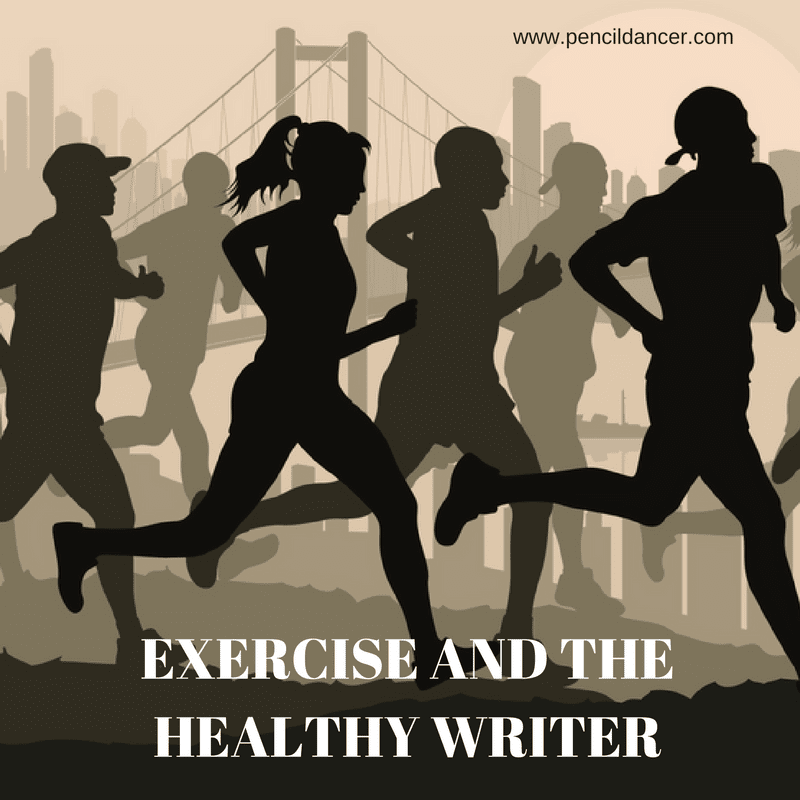 Staying healthy by exercising will give us more years to write them all! How do you incorporate exercise into your life?